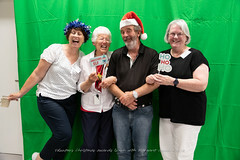 The Reading Hour was a special nation-wide event on Saturday 25 August 2012 for the National Year of Reading 2012. The aim for the Reading Hour was to encourage families to share a book with their child for 10 minutes a day, one hour a week. We encouraged parents to host their own Teddy Bear Sleepover at home and to enjoy sharing a book with their child (and their teddies!) for ten minutes between 6 and 7pm. 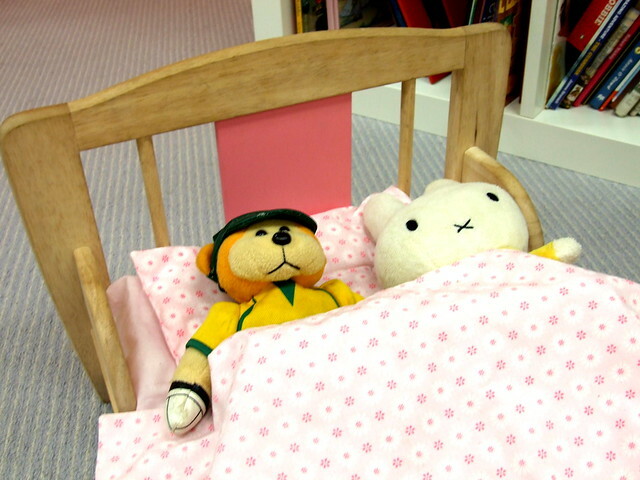 We hosted our own Teddy Bear Sleepover at the library on the day. 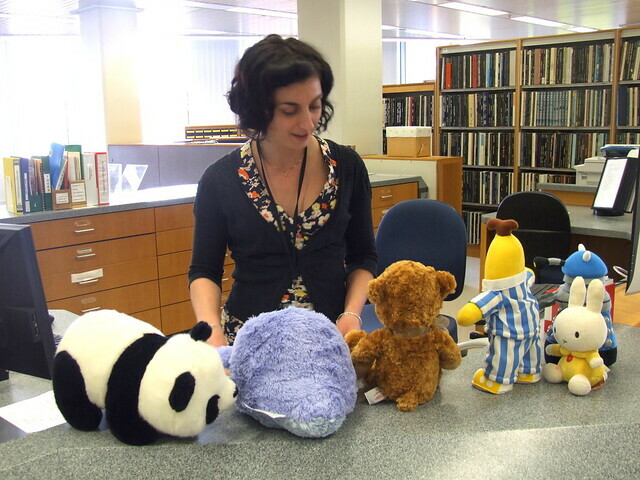 Teddies and soft toys explored the library and took part in a special story time. 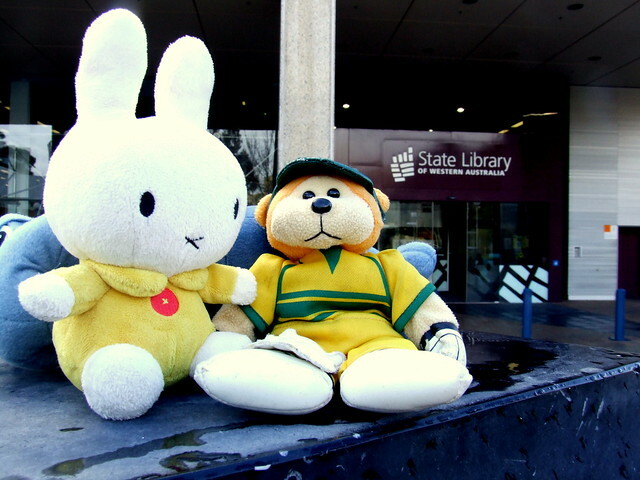 Arriving at the State Library of Western Australia for the Teddy Bear Sleepover! Meeting some new friends at the library. 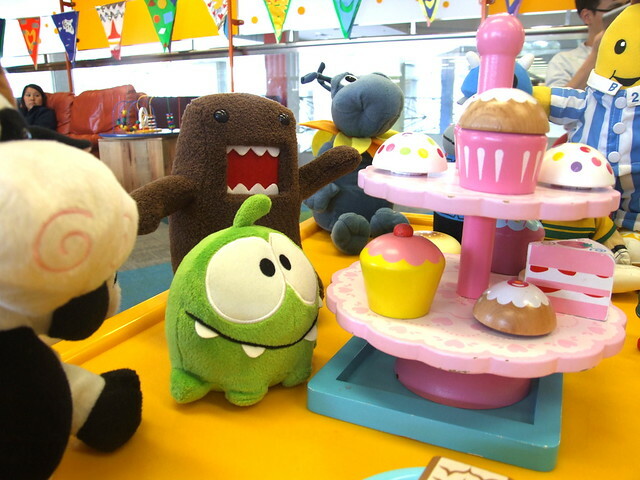 It was so fun to meet a tiny robot and a baby manatee, but the dalek scared us a little! 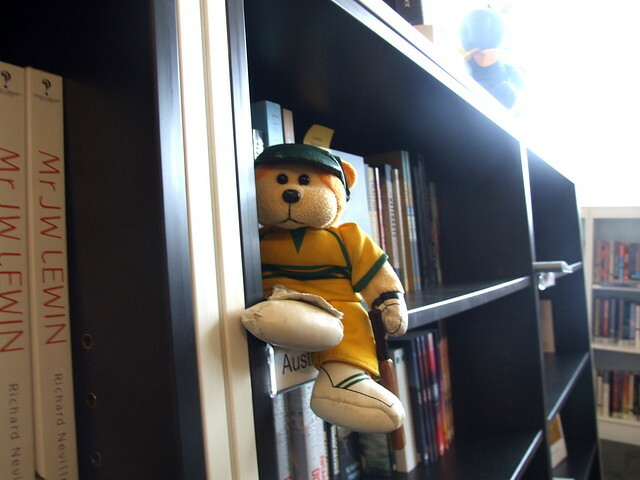 Hanging out in the State Library Shop. 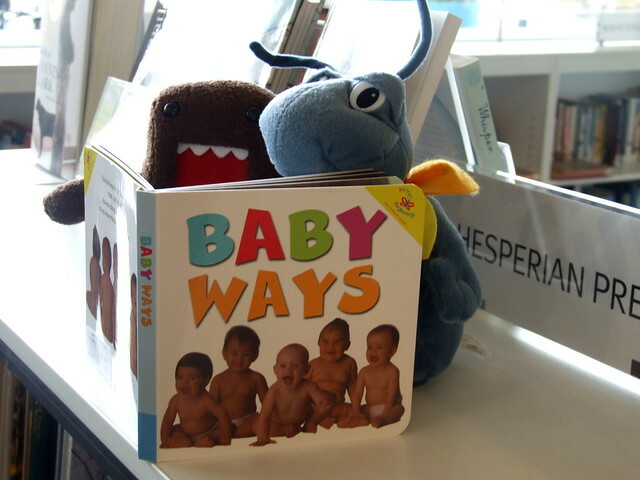 Checking out Better Beginning‘s “Baby Ways” board book. 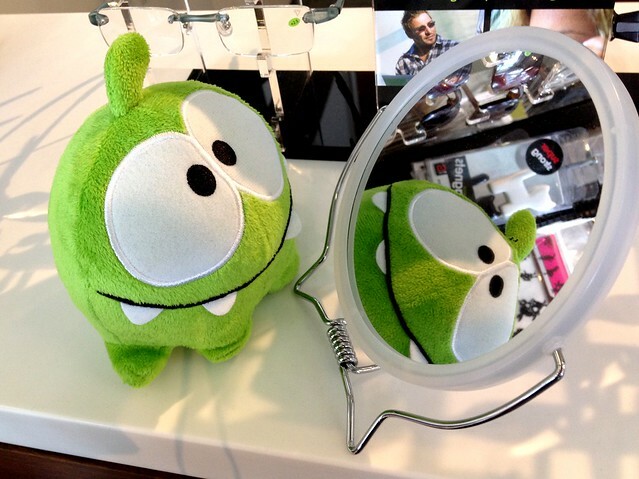 Who is this here in the mirror!? The staff at the State Library are so helpful! 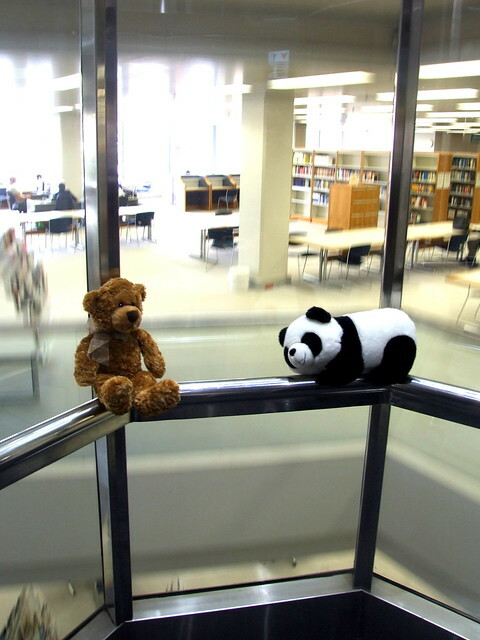 Riding up the lift to explore the library. Wheeee! 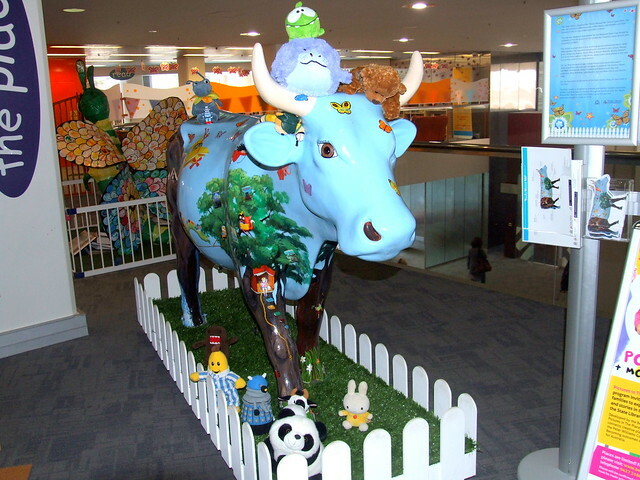 Meeting the State Library’s “Books Moove Me Cow!“. She was painted by Western Australian children’s book illustrators! 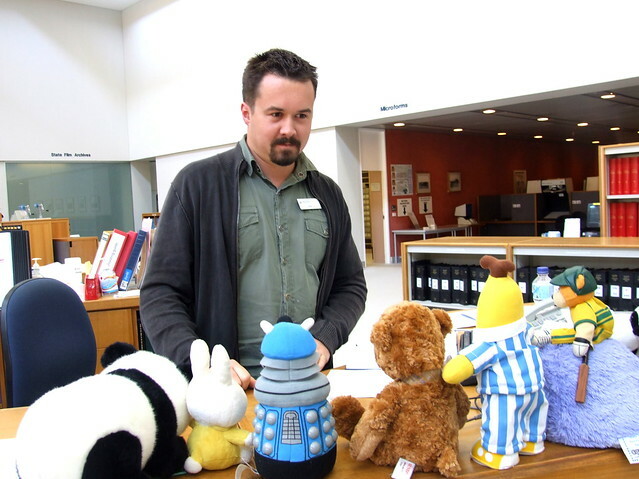 Meeting another State Library staff member. What a funny man. 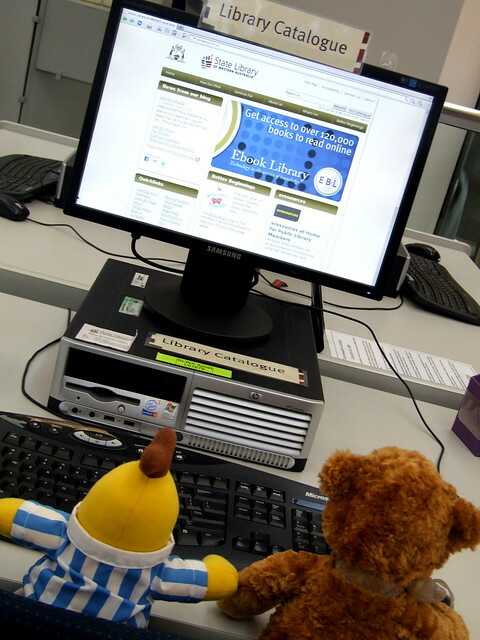 Accessing e-books from the State Library for free! 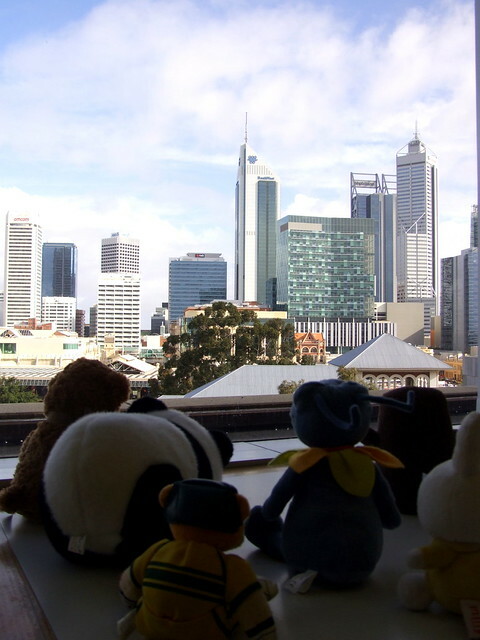 Checking out the view from the 2nd floor of the State Library. Look, there’s the BankWest Tower! Can you spot any other Perth landmarks? Enjoying afternoon tea in The Place. What’s your favourite afternoon treat? Having fun at a very special Reading Hour story time! All tucked in after our bed-time story. Goodnight everybody! 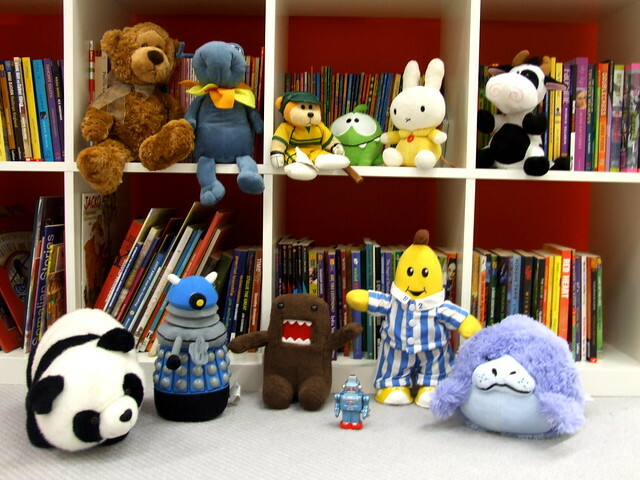 There are lots of fun and creative ways to share books with your children. If you can manage 10 minutes most nights, your child will have the best chance of becoming a good reader, with all the social and educational benefits that brings. To celebrate the official launch of the National Year of Reading on Tuesday 14 February, we have a 3D chalk art book out the front of the State Library, next to the black-and-white sculpture. It doesn’t look 3D until you look through a camera…very clever! Come and take a photo and shake the hand of Bunyip Bluegum who is stepping out of the book. So the theme this month for the national year of reading is ‘Laugh’. Any books / signs or stuff you have read that has made you laugh out loud?? Driving to work today I saw an old sign for flowers but it had Day and Flowers hidden so it looked like Mothers For Sale…made me laugh. Author of some chortle inducing scenes – Nick Earls, in both Perfect Skin and Bachelor Kisses. Visit the Love2Read Café this summer! The Love2Read Café will be open from Saturday 21 January – Sunday 26 February, and is situated in the canopied area out the front of the State Library. It will be filled with brightly coloured chairs and tables, and book trolleys featuring a range of reading materials for all ages and interests. There will be a range of programs and events which are free, with no bookings required. The launch event showcases author Adam Morris and his Murder Mouse Blues Band on Friday 20 January from 4.30 – 5.30pm, then author Andrew Relph will speak about his book, Not drowning, reading on Saturday 21 January from 3.30 – 4.30pm. For additional events, please check the events page on the website – there are hints and tips about writing, a crafternoon for families, and every Saturday visitors to the café can Play with Words borrowing a variety of word games. On Sunday afternoons at 5.00pm, classic Australian films based on books will show on the big screen. People will be able to share a quote from their favourite book on the Reading Wall inside the library. The Café is open from Monday – Thursday (10:00am – 7:30pm), Friday (10:00am – 5.00pm) and Saturday and Sunday (10:30am – 5.00pm). Love2Read Café program brochures can be downloaded from the website, and collected at the State Library and in public libraries soon. 46% of Australia can’t read newspapers, follow a recipe, make sense of timetables, or understand the instructions on a medicine bottle. 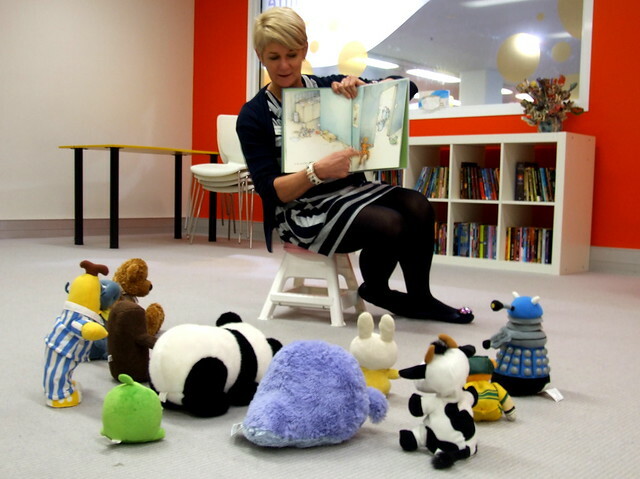 On Saturday January 21st the Love2Read Cafe opens at the State Library of WA. For five weeks there will be an outdoor reading room with free events and activities including giant scrabble, music gigs, yoga classes, chalk art, word games, baby rhymetime, family storytime, school holiday activities, author talks, book signings and more. To help promote literacy and be part of this fun event volunteer at the Love2Read Cafe. Do you love books and reading? Want to combine the two? 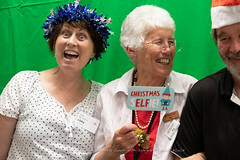 The State Library of Western Australian is celebrating the National Year of Reading in 2012, and we’re looking for volunteers to help enthuse people about books and reading in our Love2Read café. It is an exciting time to be involved with the State Library and we are inviting motivated volunteers to participate in and share Australia’s love of language, literature, books and reading in all its forms. The Love2Read café is the State Library of Western Australia’s flagship initiative to kick-start the National Year of Reading. It will be based on the Bryant Park reading room model in New York. Trolleys full of new and pre-loved books, magazines, comics and newspapers will be wheeled out under the canopied area in the front of the State Library, which will be transformed into a book café and open air library from 21 January to 26 February 2012. The Love2Read café will feature bright, engaging decor with colourful chairs, tables and beanbags to encourage people to sit down and discover or rediscover the joy of reading for pleasure. There will also be a range of events and programs to attract a wide variety of audiences to take part in the Love2Read café, from author talks and book signings, to fitness classes and festival fringe events. You will be working with other State Library staff members to make the Love2Read café a must-visit destination within the Perth Cultural Centre. •	Responding to queries and/or providing assistance to clients in the Love2Read café. •	Keep the area clean, tidying tables, reshelving books, arranging and stacking chairs. •	Being aware of stock levels, and restocking book trolleys when necessary. •	Assisting with all aspects of events, including event set-up and take-down. •	Able to work well with State Library and Aroma café staff in contributing to a team environment which ensures the delivery of quality services to clients. •	Physically capable of working both outdoors and in a library environment, for example shifting and lifting of books, stacking of chairs and tables, pushing trolleys. •	Available to work the hours to which they have committed, which may include evenings and weekends. •	Excellent interpersonal skills, and the ability to connect with a wide range of people. •	Excellent communication skills, both verbal and written. •	Experience in the administrative and logistical aspects of running events and programs. •	Experience in a library, bookstore or other customer service-driven environment. •	An awareness of Occupational Safety and Health requirements relevant to the position. 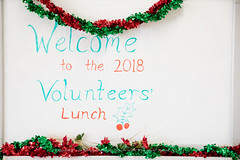 For further information contact Mary Doyle, Volunteer Coordinator, on 9427 3327. To apply, tell us in 250 words or less what you’d bring to the Love2Read café, and send a 2-page (max.) résumé with contact details of 2 referees, to Mary Doyle (mary.doyle@slwa.wa.gov.au) by 5 December 2011. If successful, applicants will be invited to attend an interview on Monday 12 December at 2.30pm. Volunteers should also be available to attend a training session on Monday 16 January, 2012. We couldn’t think of just one book that describes what it means to live in Australia, so the search has begun, for not one book, but eight, that together paint a picture of the Australian people and the land we live in. This is your chance to read the short list of books representing each state and vote for the one you think best represents your state or territory, to become part of the National Year of Reading collection. Tell a friend, get your bookclub involved, curl up with these great books and start reading!